The Liberation of Colette Simple is to be part of the London Festival of Cabaret in May, and I interviewed actress/singer Nathalie Carrington of Spatfeather Theatre Company. The journey of this show has been particularly interesting. 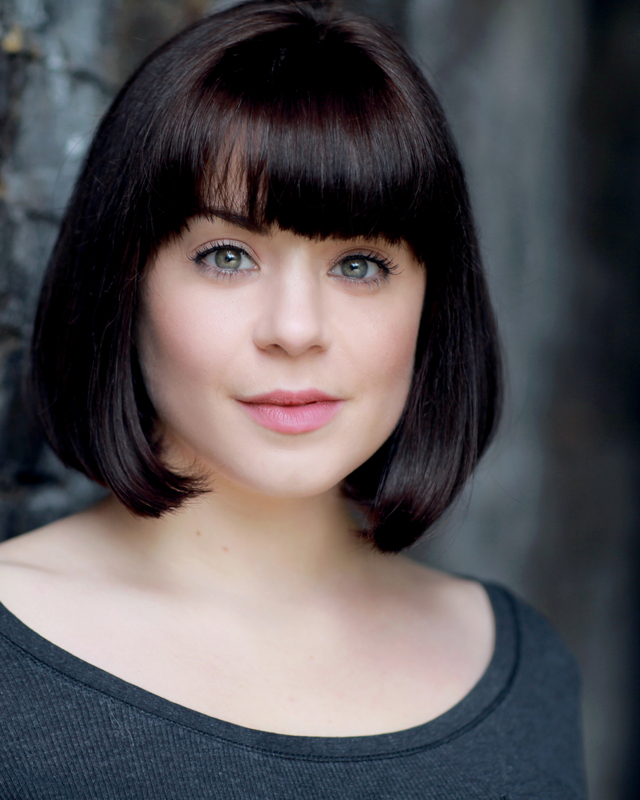 In the beginning, there was a young student actress in her third year at LAMDA cast as Sally Bowles in Cabaret. She became “obsessed”, in her own words, with all things cabaret, researching everything she could lay her hands on the Weimar and 30’s work, loving the edgy anarchic quality. Not long after graduating, she was auditioning for Tennessee Williams’ Baby Doll for the Nuffield Theatre, Southampton. She got to the third round, didn’t get it, but this led to further research on the playwright. She came across a volume of little known one-act plays, featuring The Case of the Crushed Petunias about a young woman fighting for liberation from small town attitudes and prejudices. This struck Carrington forcibly as a great premise for a one-woman cabaret show and took the idea to close friend Robert Holman, former resident dramatist at the National Theatre and at the Royal Shakespeare Company. He was also excited by the prospect, but pointed out there could be a problem with securing the rights. Fortuitously, his agent happened to be on the board of the Tennessee Williams estate and was able to start a conversation with them. Soon after these initial discussions, Carrington approached her fellow LAMDA Classmate Adam Byron, director Matt Peover and composer Vincent Guibert and they formed Spatfeather Theatre. This was no longer an idea of a one woman show but the start of an exciting collaboration. She describes The Liberation of Colette Simple as “…a new music-theatre/cabaret hybrid for two performers and five piece band, inspired by the Tennessee Williams play and reinterpreted by eight different lyricists”. They are playwrights Robert Holman and Amy Rosenthal, lyricist Adam Meggido, cabaret artist Desmond O’Connor, spoken word artist Charlie Dupré, director Matt Peover, and actors Honeysuckle Weeks and Adam Byron. So, from a one-woman show to a company project – how does that feel? “This collaboration is so much more exciting than working on my own – and it really is a collaboration. The director takes the lead, but everyone is listened to and responding to a group of lyricists has really helped the work grow. Everyone brings something to the table. I may have spearheaded the idea, but we now have a whole company dedicated to creating cabaret-style musicals”. Not only has the team grown. The work itself has developed from a small one-woman piece to a musical in its own right, with choreography, structured design and dramaturgy. The music is conceptualised by French musician, composer Guibert utilising a variety of styles, including hip-hop influences and work reminiscent of Kurt Weil –“..very edgy, a big merge and meld of everything”. Carrington uses the word ‘anarchic’ a lot. It describes the play itself, the style of piece she and her team have worked on, and the way they work together. It is the capturing of this spirit which inspired the Tennessee Williams estate to not only grant the rights to the play, but to allow a musical interpretation of it and extend an invitation to stage it at the Tennessee Williams Festival in Cape Cod in the States. The show at St James Studio will be a concert version of the concept album, which works as a stand-alone piece, given the show is almost all sung through. It will be the company’s first opportunity to present the fruits of their labours before a paying public, and will be fully staged in September at Jacksons Lane Theatre, London N6. Well, what an intriguing piece! I know what Carrington meant when she said ‘anarchic’. One thing that must be said and got out of the way is that there is no way this work can be described as a cabaret. Although there are moments of stage direction given as narrative for the benefit of the audience, there is no breaking of the 4th wall, and neither are the songs given an individual interpretation to serve a particular concept. While the word ‘cabaret’ has a very wide range, these elements are essential for the songbook kind. It is, thus, a curious inclusion in the London Festival of Cabaret. To review it, then, as a cabaret would be to do it an injustice. I will review it for what it is, and exactly what Natalie said it would be – a concert of the songs in the emerging musical theatre piece with relevant movement for clarity and visual interest. The work is almost a contemporary opera in terms of style, if not sound. The story is tantalising on one level, yet bizarrely didactic in another, telling us how important it is to be true to oneself. The music is Sondheim-esque in its atmospheric quality, reflecting the rather menacing arrival of the strange, prophet-like young man with his portentous message, and exploring Colette’s psyche as she works up to her liberation from the tight little world she inhabits both physically and mentally. The performances by both Carrington and Adam Byron, who plays all the other parts to Carrington’s Colette, are powerful and highly watchable. Carrington portrays her character’s journey from childlike bewilderment and small pretty-mindedness, through fury and madness to clear exuberant freedom. Whilst the music is not especially moving or affecting, it is arresting and very evocative, and enhances the drama most effectively. I particularly like the opening song, and the piece entertains and interests throughout. As it stands in concert form, there is a French feel to this work, both in its look with simple chic black costumes, and in the internal exploration of Colette’s belief and growth. This is perhaps unsurprising given the play it is based on by Tennessee Williams, stemming from French –influenced New Orleans. I enjoyed the sparseness of this concert version, as it forces the audience to engage with the central character’s developing state of mind, and am interested to see whether a fully-fledged stage production will add to the piece as a whole, or take away from it. This entry was posted in Features - Theatre and Cabaret News and tagged Adam Bryon, Amy Rosenthal, Charlie Dupré, Honeysuckle Weeks, Matt Peover, Nathalie Carrington, Robert Colman, Tennessee Williams, The Case of the Crushed Petunias, Vincent Guibert. Bookmark the permalink.